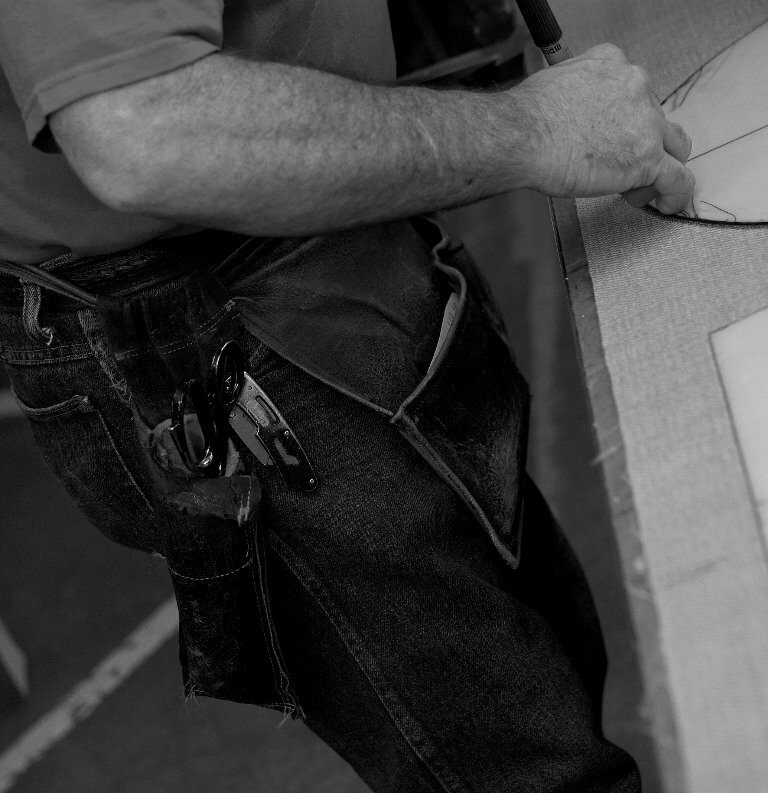 Designmaster Furniture’s quality construction process is evident in our finished product. Our tried and true construction methods have made our dining chairs some of the most comfortable, stylish, and longest lasting chairs on the market. We have been told by some of our dealers that they think we are manufacturing the best dining chairs on the market. 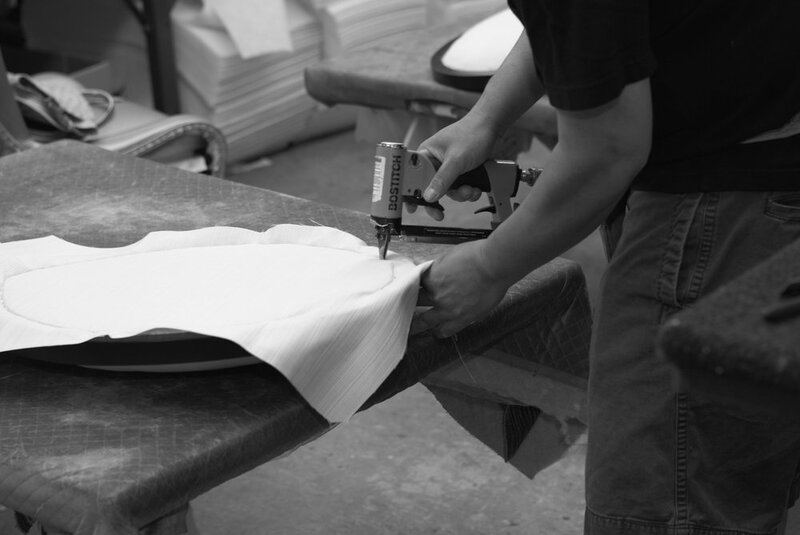 All of our chairs are engineered with the same seat height, seat depth, and back pitch; so regardless of style, each chair will sit identically. The advantage to you is that you can sit on one of our dining chairs, then order a completely different style dining chair with the assurance that the chair you have not sat in will sit the same as the one you tried. 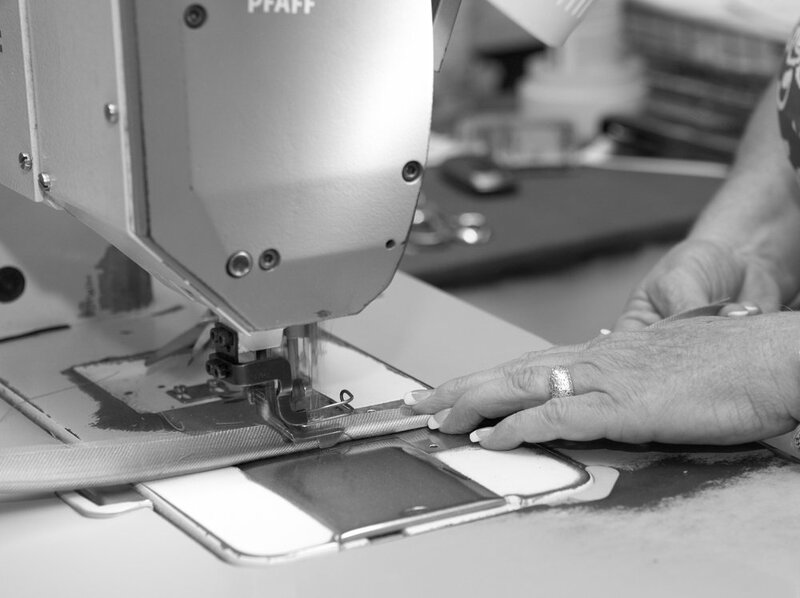 Our excellent quality begins on the inside with our frames. Thick, kiln-dried solid wood is double-doweled, glued, screwed, and corner blocked at critical joints to form a rock solid and durable frame. In a limited number of styles, we use layered hardwood parts for strength and design constraints. The next level of our construction is the springing. We use steel sinuous wire springs that are anchored into the frame for strength and resilience. The springs are covered with Proper, an insulator, to keep the foam from rubbing against the springs and shredding. 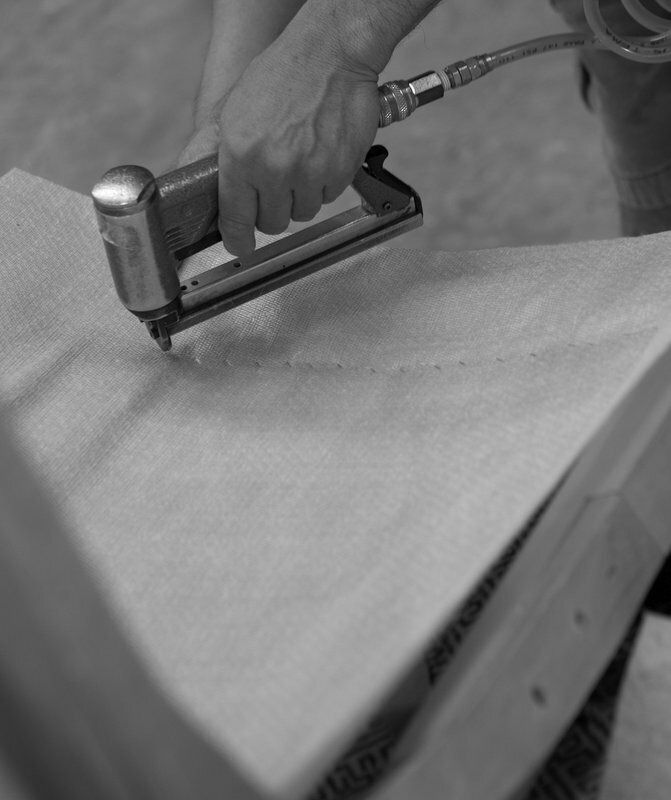 Our seats are made using a 1.8 density foam cushion covered with a thick layer of polyester fiber. The advantage of our seating system is that the foam, insulator, and springs work together for an outstanding “ride” and seating comfort. Visually you can see that all of our chairs have a good looking, full crown to their seats. 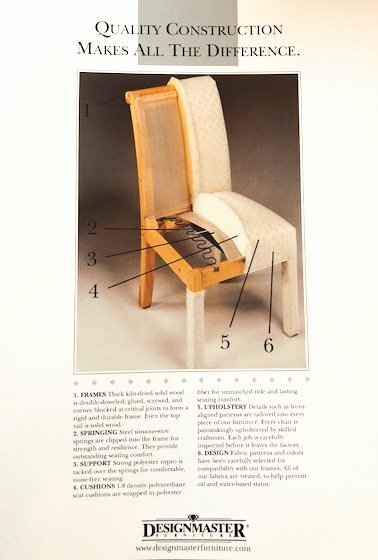 How a chair has been upholstered, how it looks, is indicative of the quality of the chair. 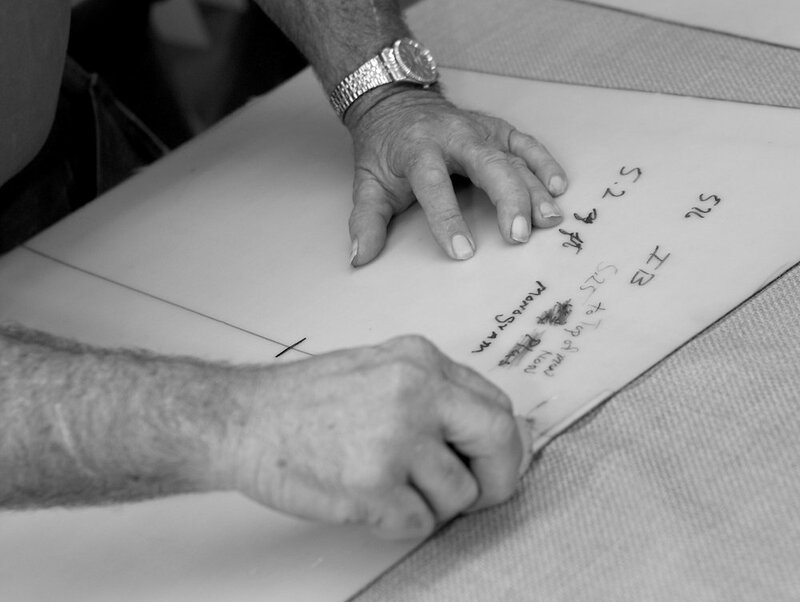 We have been told that our tailoring is impeccable. We spot match fabrics that have patterns. 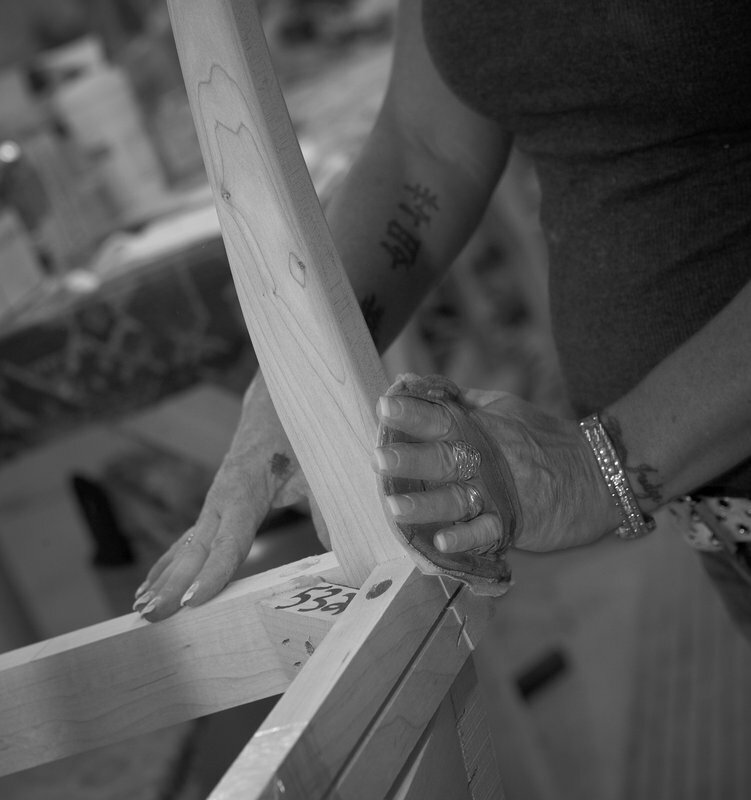 We make sure that welts are even and that tack bands go down the edges of the chair frame. 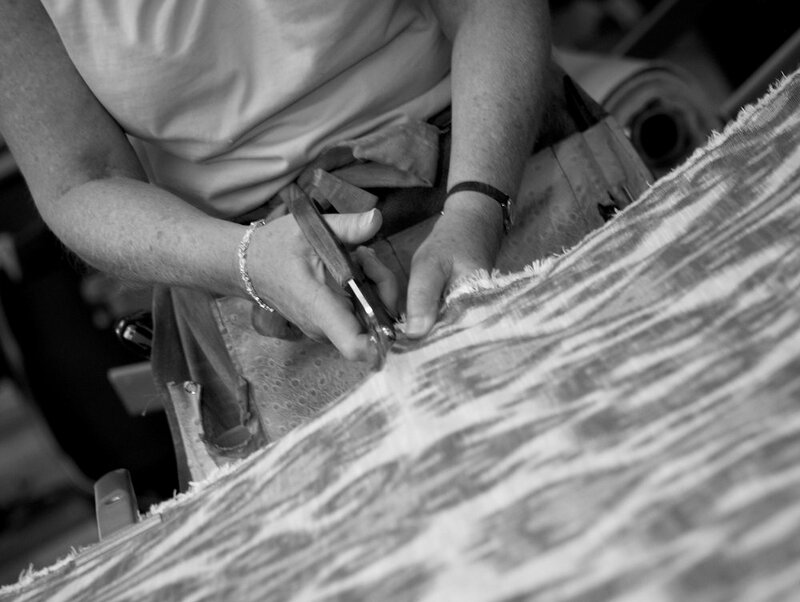 Our employees are skilled furniture craftsmen who are very competent in cutting, sewing and applying C.O.M. (Customer’s Own Material) fabrics. Because of our quality workmanship and tailoring, our customers are very comfortable and confident in sending their C.O.M. fabrics to us to be applied to our dining chairs. Designmaster dining chairs have earned a reputation of fashion, comfort and quality. As soon as you see and sit in one of our chairs, you will notice the difference as well.